Fruit-Powered Merchandise, containing dozens of raw vegan products emblazoned with unique and specially designed Fruit-Powered artwork, is your way to sport positive messages about a low-fat raw food diet and the Fruit-Powered Lifestyle! Anywhere you go, people’s eyes will gravitate toward your merchandise product designs, helping spark conversations about a raw vegan diet and possibly leading to fruity friendships and even love! 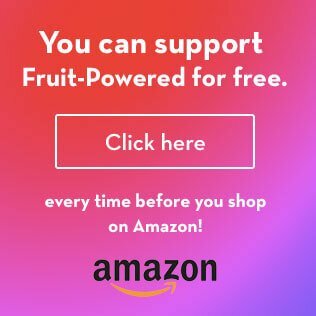 Your purchases help support the production costs of Fruit-Powered Digest and make the spotlight on a fruitarian diet ever wider! All these eye-catching merchandise product designs were created by Anna Chmielewska.